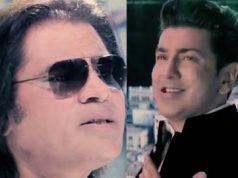 While flicking through TV channels last Sunday afternoon, I came across the video of Shafqat Amanat Ali’s Khairayan De Naal, which is based on a composition by Tufail Niazi. 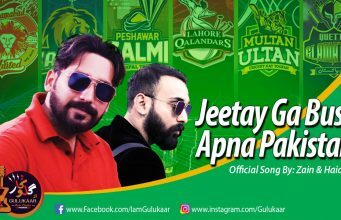 At first glance, judging by the typical video, I expected the song to be one of the run-of-the-mill pieces which mix desi folk or classical vocal compositions with contemporary instruments. Much to my surprise it turned out to be a heartwarming treat. The music production and instruments blended well with his voice quality, the main strength of the song. 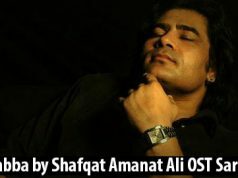 So far, Shafqat’s debut solo album, Tabeer, has shown great promise. 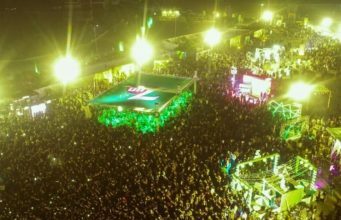 Most of the songs are based on sufi elements, folk and classical compositions with a more soulful approach, and a refreshing change in sound as compared to his previous works with Fuzon and Bollywood music. In addition to composing some of the songs himself, he had Tabeer recorded, mixed and mastered in Pakistan by music producer Zeeshan ‘Shani’ Haider. Aawoo Saiyyo, based on the sufiana kalaam of Bulleh Shah, and Rohi, a kafi sung originally by the late Zahida Parveen, are two hauntingly beautiful tunes. Aawoo…has a dark yet soothing tone to it with the traditional tabla and bansuri (flute) adding further warmth to the vocals. Rohi with a much lighter, more optimistic feel is equally soothing. While a more modern approach has been used in its arrangement and production than Bulleh, it remains in sync with the traditional sound of the composition. However, there are some drawbacks in the arrangement and production of some of the tracks. The music in songs such as the classical-based Kartar and the Sindhi folk-inspired Pagalpan is a too synthesised and which, at times, results in the vocals sounding detached from the background music. For example, in Kartar when the song kicks off into a faster, action-movie-background-score pace, the synthesised sounds are not at par with Shafqat’s powerful vocals. Similarly, the Pagalpan intro is sung beautifully (although Shafqat’s voice quality sounds alarmingly similar to that of Abida Parveen’s), but when it comes to the main verse, the production which tries to create a jazz/pop feel to the track, has an opposing effect with the folk tune and his voice. The third track of the album, Dum Ali, Ali Dum, almost sounds like a filler track. It is inspired by the popular qawwali sung by the late Nusrat Fateh Ali Khan, but has been rendered countless times by different vocalists over the years. The song is definitely arranged as a typical dance number for weddings with a continuous techno beat and average melodic support for the vocals. Clearly this track does not fit in at all with the overall theme of Tabeer. 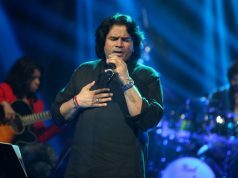 Further displaying versatility, he manages to create a contemporary, funk/pop-influenced track in the form of Dil Mein Na Soyein Bairi, originally a Punjabi composition but composed and written by Shafqat in Urdu. The song is fun and playful with a catchy tune, beginning with a guitar played in wah wah-like effect and with modern instrumentation. 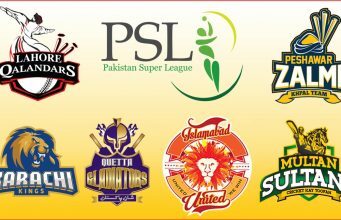 Definitely a light-hearted number and quite unlike Shafqat’s signature style of composition. 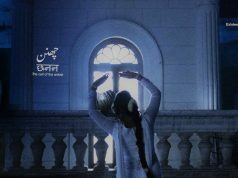 Based on a popular qawwali by Ameer Khusrau, Rang Le incorporates a pinch of jazz and Western folk tunes, bringing about a softer and romantic tone. The last track of the album, Ya Ali emphasises the skill and depth of Shafqat’s vocals. The song has no rhythm, no drums and minimal instrumentation. Still, the melody is hypnotic and penetratingly poignant with him delivering his full range as a vocalist. Although the shortest track in duration on the album, it stands out as the most expressive. Shafqat Amanat Ali had already earned distinction as a vocalist before this album, but not as a musician/ composer. What he proves with it is that he is much more effective and musically stronger as a solo artiste. For those who are into soulful music, Tabeer is the perfect choice.